The last weekend of September was the We Care Twin Cities race event in town. Friday night weather was perfect, sunny and upper 60s or low 70s. We got to enjoy some time with friends while we waited for the races to begin. 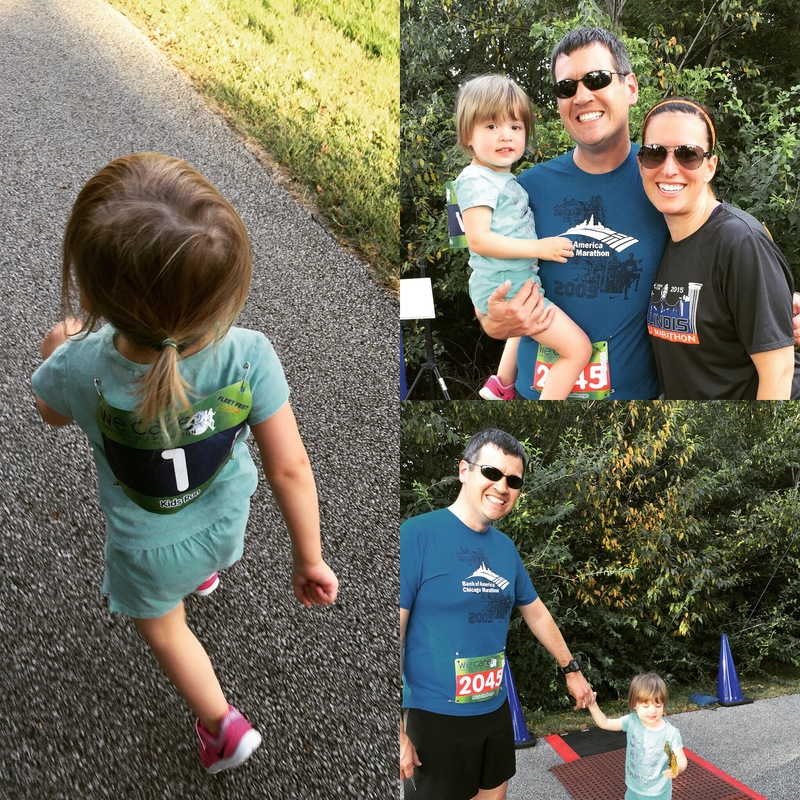 Friday was a kids 1/4 mile run and a family 5K race. The kid’s run was Chase’s furthest distance so far and she ran the whole way. It was so awesome seeing the determination on her face and how much she was loving it at the same time. At the end the kids got medals that were donated from past races by other runners. We Care highlights environmental awareness and information on reuse and recycling. 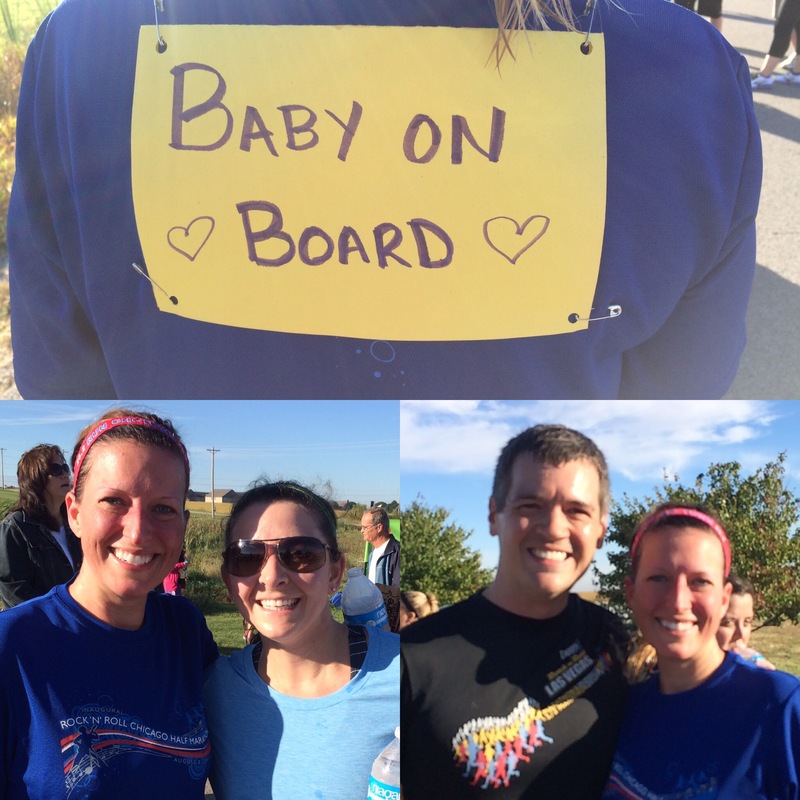 My ‘Baby on Board’ sign that I put on the back of my shirt because it’s fun to be out racing pregnant. 🙂 Post race with Rob and Carissa.